2. An attached bad wing shaped cape, yellow batgirl belt, gauntlets, knee high boot covers and eye mask. 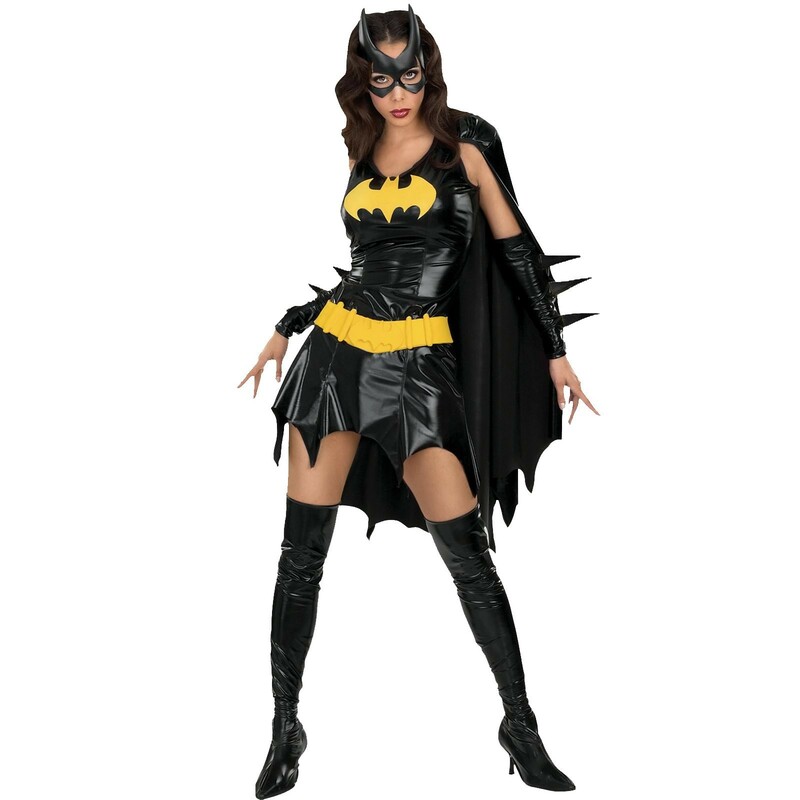 The Batgirl Costume For woman.